Print high-quality colors, including white, on transfer media with the C711WT, Pro8432WT, digital color printers from OKI. Choose the C711WT for a lower-cost, in-house production option, or the Pro8432WT for a more compact printer. Included with a printer purchase is a free month of Great Dane Graphics Stock Art and 75 sheets White Toner Transfer Paper to get you started. 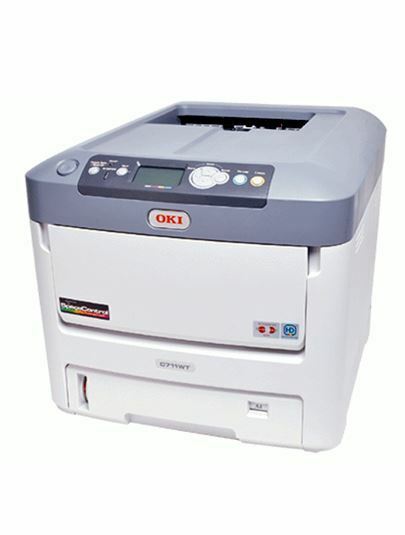 This March, get the OKI Pro8432WT printer, CADlink rip software, 100 sheets of 11x17 ExactPrint® paper, and 100 sheets of 11x17 ExactPrint® Opaque, a total value of over $7800, for just $6,895. Free 1-month stock art subscription to GreatDaneGraphics.com. Prints up to 11.6" x 17"